Cedar Kindling - Best Fire Starter? Cedar kindling is arguably the best kindling available. Why is it so good? Cedar is very porous and it contains natural oils within the wood that burn hot and fast. Ok.......cedar is great for kindling but what happens if you don't have access to cedar trees or you live in a region where cedar is not readily available? Good news, there's a cheep and easy way to make your own! 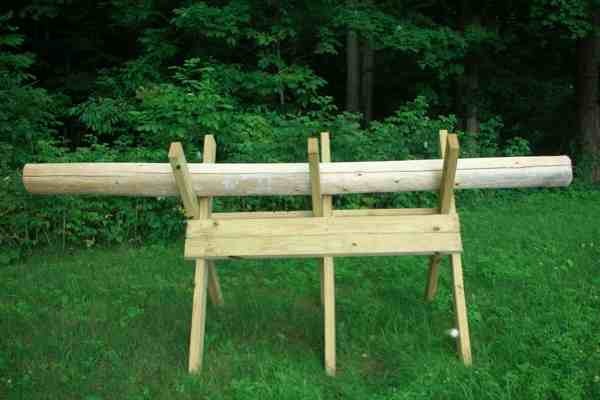 Many local farm and garden stores sell cedar fence posts. You can choose from either a 4 or 5 inch post and they're 100 inches long. The wood is usually very dry and it's ready to be burned immediately. You can also use cedar split rail fence, but I like the round posts the best. The cedar post in this picture is a 5 inch post that's 100 inches long. I purchased it from a nearby farm and garden store for about $8. 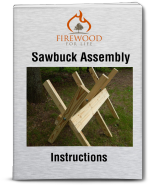 I put this post on a sawbuck to make cutting it safer and easier. Since the post is 100 inches long, I cut it into ten inch sections. I found that 3 or 4 pieces of 10 inch long kindling is more than enough to light a fire. 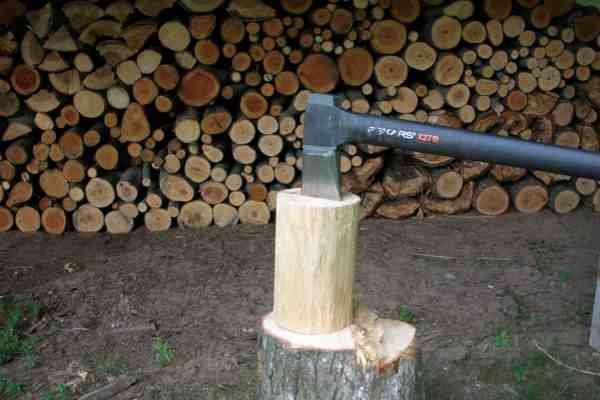 I chose to use a handsaw because I only needed to make a few cuts but a chainsaw or miter saw would also work. 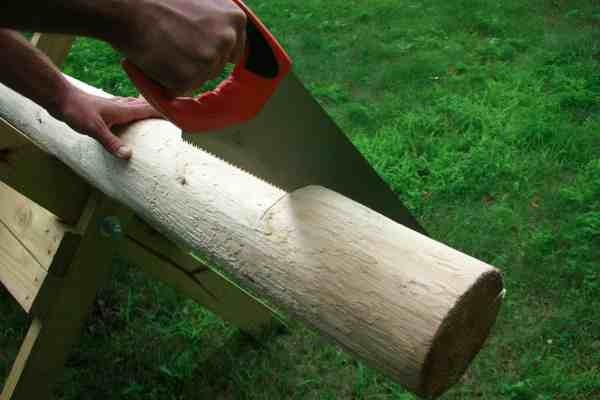 After you have the 10 inch sections cut, place one on a splitting block and split it into small pieces. As the pieces get smaller, I found it's easier to switch over to a smaller hatchet instead of using the larger splitting axe. Split the cedar until the pieces are about 1 inch wide. 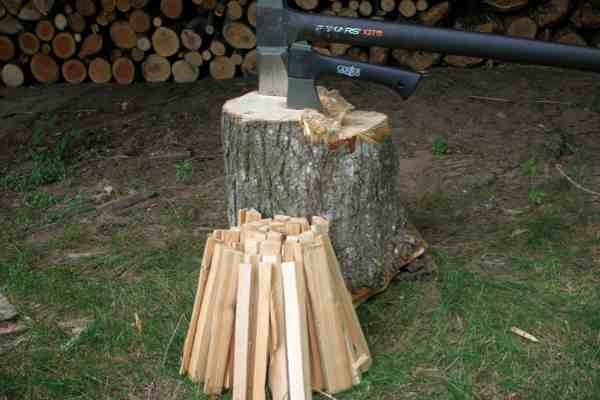 One chunk of cedar produced 37 individual pieces of kindling which is enough to light around 10 fires. If each post will produce 10 chunks of wood......each post will produce about 400 pieces of kindling which is enough to light around 100 fires. 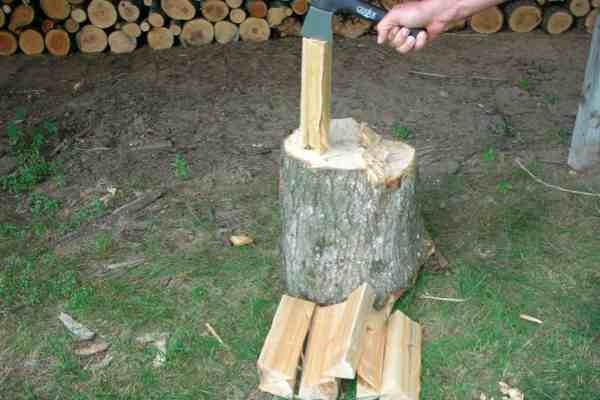 Buying cedar posts to make kindling is a great way to make your own fire starters. For around $6-$8 (depending on the size of the post) you can have enough dry kindling to last the entire season.